Santa Barbara-based Pacifica Real Estate Group purchased Pecos Gateway Business Park, a 125.9k sf industrial property in Mesa, AZ, for $14.6 mil ($116/sf). The asset, located at 8743 E. Pecos Rd, was sold by Boomerang Capital Partners, of Mesa. Pecos Gateway Business Park is a three-building, multi-tenant industrial property located along Pecos Rd, approximately 1.5 miles south of the Phoenix-Mesa Gateway Airport. Situated on 10.56 acres, the property features 18-23 foot clear height, 11 dock-high loading doors, 29 grade-level loading doors, and suites ranging in size from 2k sf -17.5k sf. Currently 100 percent occupied, Pecos Gateway Business Park has maintained a 92% average occupancy since the first quarter of 2011. Built in 2008, the property recently underwent capital improvements including a new elastomeric coating on the roof. 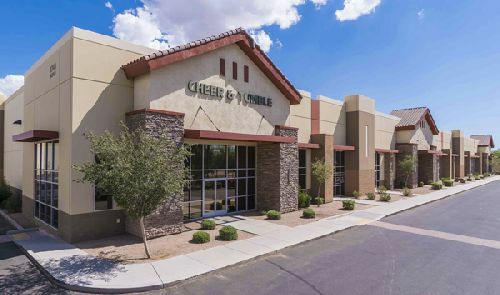 Bob Buckley, Tracy Cartledge, and Steve Lindley of Cushman & Wakefield’s Phoenix office negotiated the transaction on behalf of the seller.